Home » Healthcare Data Privacy » Why is HIPAA Important? 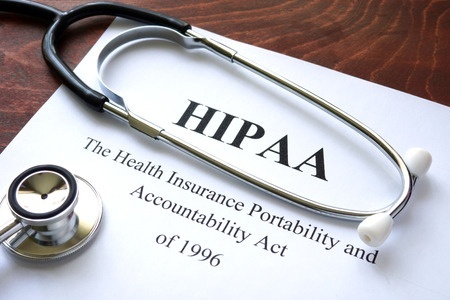 The Health Insurance Portability and Accountability Act (HIPAA) is a landmark piece of legislation, but why is HIPAA important? What changes did HIPAA introduce and what are the benefits to the healthcare industry and patients? HIPAA was introduced in 1996, primarily to address one particular issue: Insurance coverage for individuals that are between jobs. Without HIPAA, employees faced a loss of insurance coverage when they were between jobs. A second goal of HIPAA was to prevent healthcare fraud and ensure that all ‘protected health information’ was appropriately secured and to restrict access to health data to authorized individuals. Why is HIPAA Important for Healthcare Organizations? HIPAA introduced a number of important benefits for the healthcare industry to help with the transition from paper records to electronic copies of health information. HIPAA has helped to streamline administrative healthcare functions, improve efficiency in the healthcare industry, and ensure protected health information is shared securely. The standards for recording health data and electronic transactions ensures everyone is singing from the same hymn sheet. Since all HIPAA-covered entities must use the same code sets and nationally recognized identifiers, this helps enormously with the transfer of electronic health information between healthcare providers, health plans, and other entities. Why is HIPAA Important for Patients? Arguably, the greatest benefits of HIPAA are for patients. HIPAA is important because it ensures healthcare providers, health plans, healthcare clearinghouses, and business associates of HIPAA-covered entities must implement multiple safeguards to protect sensitive personal and health information. While no healthcare organization wants to expose sensitive data or have health information stolen, without HIPAA there would be no requirement for healthcare organizations to safeguard data – and no repercussions if they failed to do so. HIPAA established rules that require healthcare organizations to control who has access to health data, restricting who can view health information and who that information can be shared with. HIPAA helps to ensure that any information disclosed to healthcare providers and health plans, or information that is created by them, transmitted, or stored by them, is subject to strict security controls. Patients are also given control over who their information is released to and who it is shared with. HIPAA is important for patients who want to take a more active role in their healthcare and want to obtain copies of their health information. Even with great care, healthcare organizations can make mistakes when recording health information. If patients are able to obtain copies, they can check for errors and ensure mistakes are corrected. Obtaining copies of health information also helps patients when they seek treatment from new healthcare providers – information can be passed on, tests do not need to be repeated, and new healthcare providers have the entire health history of a patient to inform their decisions. Prior to the Introduction of the HIPAA Privacy Rule, there was no requirements for healthcare organizations to release copies of patients’ health information.